Intermodal shipping is a method of shipping using multiple modes of transport and special containers and trailers. 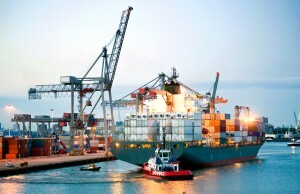 The modes of shipping include planes, ships, trains, and most commonly, trucks. Trucks are almost always used to get intermodal shipments to their final destination. They are also used to get shipments from their initial destination to the next shipping method, which is often by rail or plane over long distances or internationally. There are many benefits to intermodal shipping. The use of special containers allows the cargo to be shipped using various methods without having to unpack and repack the cargo. This means that only the shipper, customs (if applicable), and the recipient know the contents of the container, which means secure shipping. 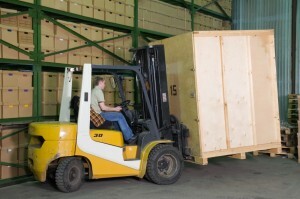 The special containers are also very resistant to the elements and extreme weather, which reduces losses and spoilage. Intermodal shipping combines the best aspects of all shipping methods for maximum shipping efficiency. Planes and boats are great for long distance, international shipping, and trains are very fuel efficient and also great for long distance shipping. However, none of these methods can deliver the cargo directly to the final destination, which is why trucks, which are more flexible in terms of their mobility and shipping schedules, are used for this last leg of the journey (and often for the first as well). Posted in Freight Shipping | Comments Off on What is Intermodal Shipping? It might sound cliché, but the phrase “time is money” is the most relevant maxim there is in the shipping industry. Getting your product to its intended destination on time means you make money, and not only that, you build relationships with clients based on your reliability and trustworthiness. Missing a deadline for the arrival of a shipment means financial losses both in the short and long term as relationships with clients suffer. We know how valuable your time is to you and your clients. Your business is only as good as its word, and if you tell a client a shipment will arrive on time, it needs to do so. This is why you can trust Evan Transportation. Our number one priority is to get your shipments where they need to be on time. Because we value your time as well. We believe in building and maintaining relationships with our clients, and providing them with the peace of mind that comes with knowing their shipments won’t be late. So, next time you need to ship something, choose Evan Transportation. You’ll be glad you did. Changing the tire on a semi truck is no simple task. Due to the equipment involved and the weight of a spare tire, most truckers opt to notify their dispatcher and pull in at the nearest truck stop, which are usually found every 30 to 60 miles on highways in the continental U.S. If making it to a truck stop isn’t an option, there are ways to change a tire on the side of the road. An industrial tire changer such as an EZ Way is used to break the bead seal on the flat tire. A tire bead is the edge of a tire that sits on the wheel, where there is a groove that keeps the tire in place and keeps the tire pressure from escaping. The EZ Way is used so the tire can be changed without having to lift up the truck. The remains of the bad tire are removed and a new spare tire, which weighs around 300 pounds, is put in place on the axle with the aid of a tool such as the Accu-Turn 4560MR. The nuts are replaced and the new tire is then firmly in place and ready to roll. What is a TWIC Certified Driver? At Evan Transportation, we only higher the most well qualified drivers to run our rigs, which is why many of our drivers are TWIC certified. Not only does this inform us as to the quality of the driver, a TWIC certification also opens up new shipping options for drivers. Here’s how. TWIC is an acronym for Transportation Worker Identification Credential. Drivers who possess this credential are permitted to gain unescorted access to secure areas and vessels regulated by the Maritime Transportation Security Act. The intent of the act, which was made law in 2002, is to increase security at all of the nation’s ports. 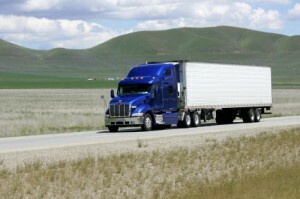 Therefore, in order to gain access to secure areas, drivers need TWIC certification. This is especially important for inter-modal transportation, which involves offloading cargo from ships at the port and loading it onto trucks for land transportation. As an operator in the mid-Atlantic region, Evan Transportation does a lot of inter-modal shipping due to the high number of ports on the east coast. Therefore it is important for our drivers to have TWIC certification in order for them to get where they need to go. If you need to ship something, you can guarantee that Evan Transportation will get it to and from its destination hassle-free. Posted in Freight Shipping | Comments Off on What is a TWIC Certified Driver?